Stopping the stigma // spotting the symptoms // developing new treatments, from hormone blockers to virtual reality // mitigating the memories. When John Parrish returned from his year in Vietnam, he resumed a life that would be filled with professional accomplishments. A pioneer in his field, Parrish would go on to serve for two decades as head of dermatology at Massachusetts General Hospital and to become a leader in translating technological advances into new medical treatments. He has written six books and hundreds of journal articles, and has won national and international awards. Though Parrish hardly fits the stereotype of a psychologically damaged veteran unable to function in civilian life, his flashbacks, nightmares and other symptoms are shared by all too many who’ve come home to worlds so different from the front lines. And while the roots of that psychic burden extend back thousands of years, what we now call post-traumatic stress disorder, or PTSD, has only recently been recognized as a single condition that may afflict anyone who has lived through a searing event. Sufferers include battered spouses, abused children, victims of car accidents and those who have witnessed violent crimes or natural disasters. 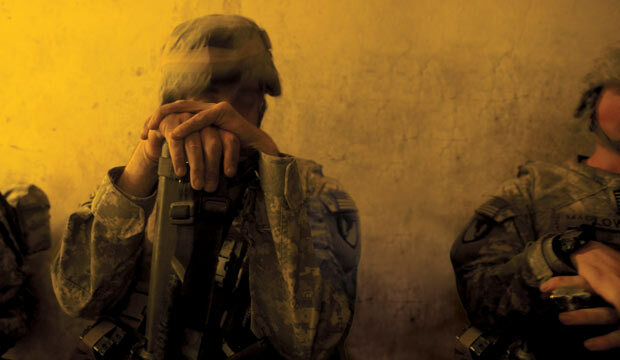 With American wars being waged in Iraq and Afghanistan, much of the latest research has focused on how to treat hundreds of thousands of young men and women returning from the battlefront with mental as well as physical pain. Part of that effort involves ongoing attempts to understand what really occurs in the brains of PTSD sufferers, and a few drugs are showing promise in keeping damaging memories at bay. Other groundbreaking work in cognitive behavioral therapy, or CBT, a systematic, goal-oriented technique that seeks to alleviate symptoms, also has moved forward. The military establishment, including the U.S. Department of Veterans Affairs, now seems determined to anticipate and treat psychological wounds, after a long history of underplaying or even ignoring the problem. The Department of Defense and Congress have earmarked millions of dollars for studying and implementing new treatments for the disorder. Yet even the most effective therapies will have no impact unless PTSD sufferers seek help, and finding ways to overcome its stigma has emerged as a crucial component of efforts to combat this disorder at a time when so many are being exposed to its causes. A 2004 study found that more than 90% of Marines who had served in Iraq had experienced attacks or ambushes, 75% had seen dead or seriously injured Americans, and more than half had handled or uncovered human remains. Those are exactly the kinds of events that may lead to PTSD, and a major 2008 study by the RAND Corporation’s Center for Military Health Policy Research estimated that almost 300,000 veterans of today’s wars may suffer from psychological disorders. Such findings suggest a looming public health crisis. 1. Invisible Wounds of War: Psychological and Cognitive Injuries, Their Consequences, and Services to Assist Recovery, edited by Terri Tanielian and Lisa H. Jaycox (RAND Corporation’s Center for Military Health Policy Research, 2008). This landmark 499-page study found that approximately 20% of service members may return from the wars in Iraq and Afghanistan with such mental health conditions as PTSD and depression. 2. Treatment of Posttraumatic Stress Disorder: An Assessment of the Evidence, by the Institute of Medicine’s Committee on Treatment of Posttraumatic Stress Disorder (National Academies Press, 2008). This report, commissioned by the U.S. Department of Veterans Affairs, calls for greater uniformity and coordination of research to show conclusively the best approaches to treatment. 3. “Combat Duty in Iraq and Afghanistan, Mental Health Problems, and Barriers to Care,” by Charles W. Hoge et al., The New England Journal of Medicine, July 1, 2004. A widely cited study of PTSD and other mental health disorders afflicting veterans of Iraq and Afghanistan. In a piece by the MacArthur Foundation, Nock describes what’s next for his research.